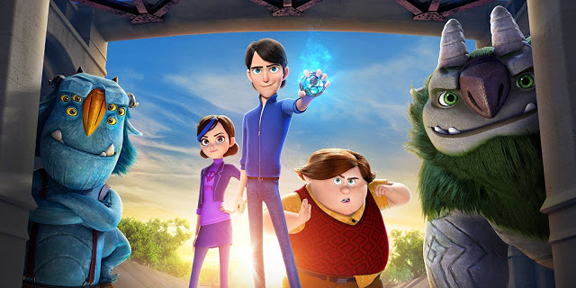 DreamWorks Animation's newest animated series for Netflix is one filled with visual wonderment, magic, deftly written plot, and complex characters sure to entice viewers of all ages. 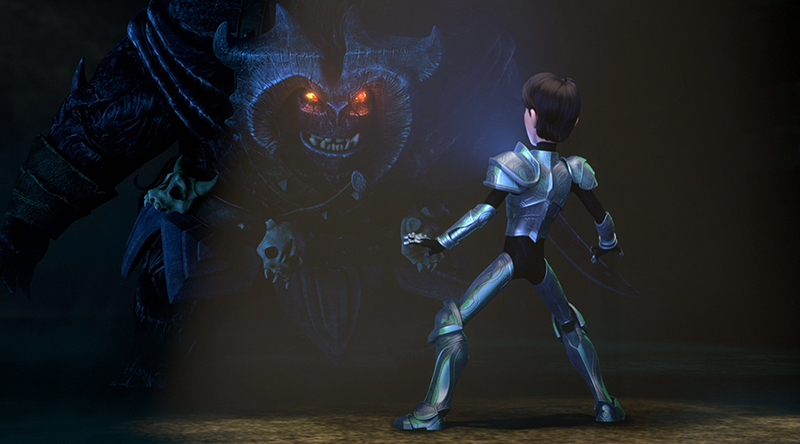 Created by Guillermo Del Toro, Trollhunters is set in the Southern California city of Arcadia and follows Jim Lake Jr. (voiced by the late Anton Yelchin) and his trials and tribulations after he is selected by an amulet to become the next Trollhunter, the powerful protector of both human and troll worlds. 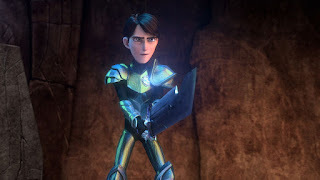 Joined by best friend Toby (voiced by Charlie Saxton) and mentored by trolls Blinky (voiced by Kelsey Grammer) and Arrrgh (voiced by Fred Tatasciore), Jim struggles to learn how to be the Trollhunter and balance his new identity with his current one. Along for the ride are Draal (voiced by Matthew Waterson), troll son of Jim's predecessor, Kanjigar (voiced by Tom Hiddleston), and Claire (voiced by Lexi Medrano), a sprightly teen that Jim harbors romantic feelings for. The series features a cast of complex and richly developed characters whom are constantly learning and changing through the progression of the show. This is especially true of the series' villains, no more so than Mr. Strickler (voiced by Jonathan Hyde), an antagonist who seeks power for himself, however, finds himself conflicted due to his connection with Jim and his mother, Barbara (voiced by Amy Landecker). Mr. Strickler is perhaps the most intriguing character of the series as he makes several morally questionable decisions and could easily have an entire thesis length character study written about him and his ambiguities. Other antagonists include the fearsome Angor Rot (voiced by Ike Amade), Bular (voiced by Ron Perlman) the son of the troll leader of the Darklands, and Gunmar (voiced by Clancy Brown) the over-arcing antagonist that the series is building up to and aforementioned leader of the Darklands. Trollhunter, however he proves more than capable. On the protagonist end, Jim proves to be a vulnerable hero who is unsure of himself and his ability to live up to his destiny as the first human Trollhunter. Sometimes our hero fails and shows that he is scared of his responsibility as well as whether he will be able to achieve victory when the time comes for him to face Gunmar. One aspect the series tackles excellently is illustrating the difficulties Jim experiences in balancing his two lives. The show clearly shows the strife and divide his new role creates between him and his mother, Barbara, whom he was once close with as well as showing that his school work is suffering from a failing grade in Spanish to being demoted to understudy in the school play. 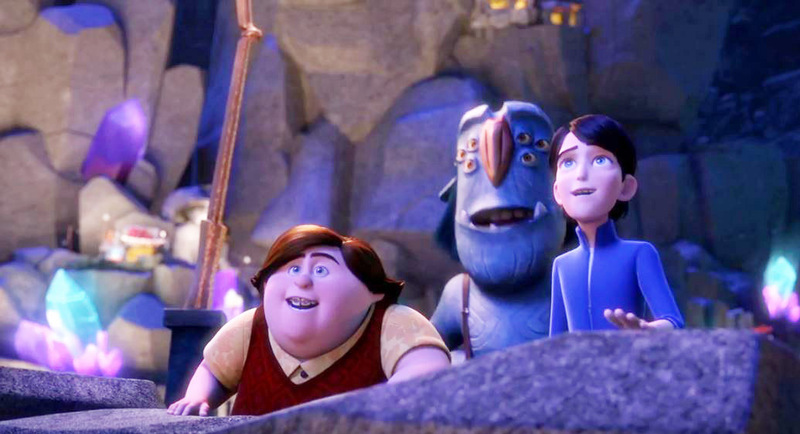 Through great sacrifice and the support of his friends, Jim proves that even though he is the first human to hold the mantle of Trollhunter, he is more than capable of the role. His best friend Toby proves to be a venerable sidekick and a wonderful source of comedic relief, even in dire situations. His friendship with troll Arrrgh is a work of humanistic beauty and simplicity that will simply melt your heart as well as his never give up attitude towards Jim's destiny. The only character that lacks originality is that of Claire who unfortunately falls under the all too familiar trope of a Mary Sue. She is beautiful, intelligent, a naturally capable fighter, and quick to master all skills with little to no difficulty including those of the troll world. It doesn't help that she is the only main female character of the series which could desperately use some gender diversity in its primary cast. If there are further seasons, which hopefully there are, it'd be great to see some of Claire's vulnerabilities and have more prominent and involved female character introduced. So there's going to be an art book right? Visually the series is masterful and will make your jaw drop more than once. 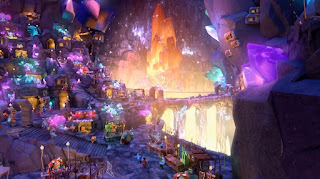 Featuring expertly choreographed fight scenes, delightfully gorgeous environments, and unique troll character designs you'll find your eyes glued to the screen trying to absorb it all in. This is a series that begs for multiple rewatches simply for the artistic features. From the colorful Heartstone Trollmarket to the ethereal Void, there is no shortage of visual treats in store for the viewer. the series proves to be deftly written and strongly paced. Overall the series is wonderfully paced with only a few filler episodes that do great work in character and relationship development. Once you think you know what's going on, the writers turn everything on its head and keep you guessing up until the very end. It's always a treat to find an animated series that challenges and excites its audience with fast paced, intelligent, and witty writing. Stand out episodes include "The Shattered King", "Recipe for Disaster", "Blinky's Day Out", and "Angor Management". What are you waiting for? Go check it out and be amazed! Nominated already for four Annie Awards and holding a 91% critics' consensus on Rotten Tomatoes, Trollhunters is a bingeworthy series not to be missed. It's sure to fill that Voltron shaped hole in your heart as well as become one of your new favorite animated series. 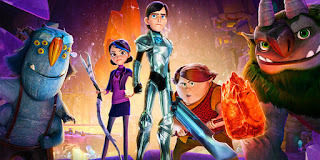 Check out the trailer below then head to Netflix to watch Trollhunters! 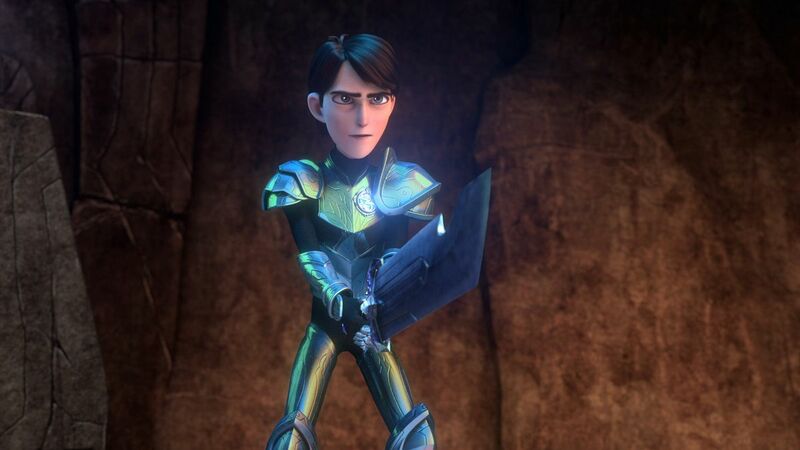 TROLLHUNTERS is now streaming on Netflix.